Beacon Shores - Aug 2012 - Loons, Loons, Loons! 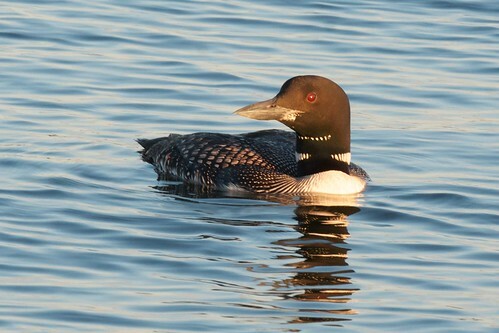 We saw tons of loons while we were at Beacon Shores. They are beautiful birds. 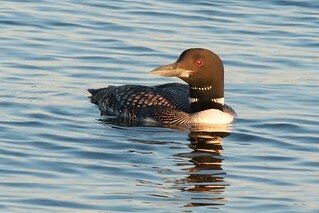 Many of the loons we saw were juvenile birds. You can tell the juveniles from the adults by looking at the coloration of their heads. Their head of an adult is completely dark green -- almost black. The juveniles have flecks of gray around their beak and eyes.